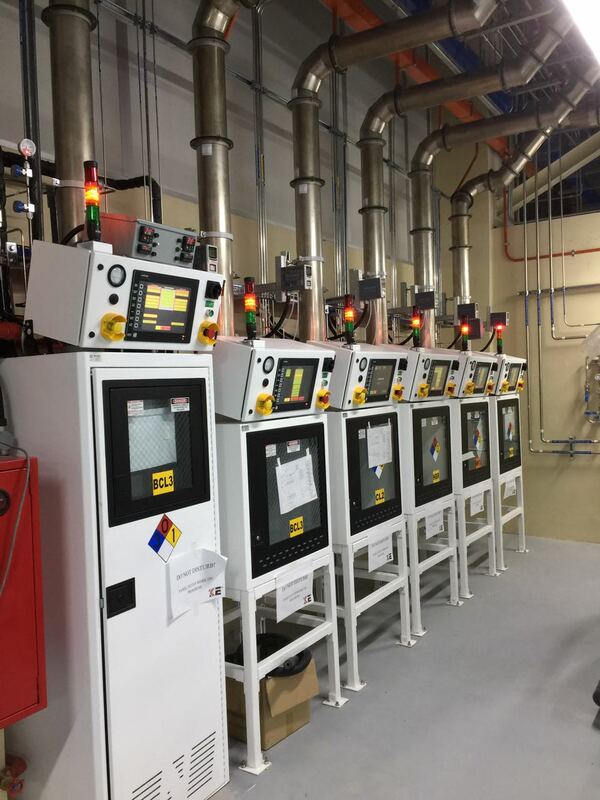 Our special gas delivery system is fully equipped to deal with a wide variety of speciality gasses that our clients may require in their procedures. The system has gone through stringent internal quality control tests to ensure that they operate at the highest levels of consistency, precision and safety. 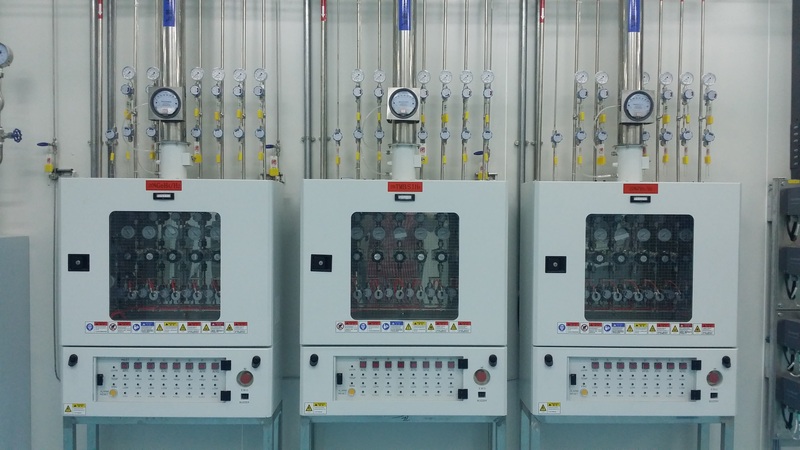 Gas cabinets are used to contain potential leaks of hazardous gasses that may occur in piping and fittings at the connection. If detected the gas cabinet will vent any hazardous gasses into the cabinet exhaust system for a safe disposal. We have the in-house capability to manufacture gas cabinets that incorporate all safety features that meet stringent industry standards. We also work with major gas cabinet manufacturers to provide our clients with a wide range of solutions that meet their needs. Valve Manifold Box / Panel regulates gas pressure and flow and ensures that gas is safely distributed to multiple production equipment. They are a critical component of any gas distribution system and commonly comprise of a series of valves, regulators, mass flow devices, pressure sensors and filtration. We are able to design and develop an economical solution that meets the demands of our clients’ production processes while adhering to high safety standards. 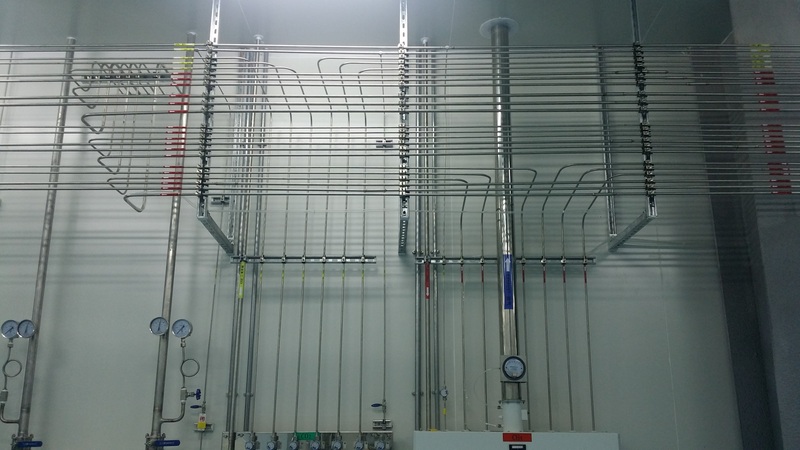 Piping systems are crucial to any gas or chemical installation. Our team of expert technicians and experienced project teams both plan and execute from fabrication to installation at delivery site providing a qualified one stop solution for our clients. Using our In-house K-Flow vision we are able to simulate the fluid dynamics in a given delivery system model. This enables us to significantly improve our design efficiency and allows us to be more flexible in our planning to guarantee maximum utilization of space for our clients.